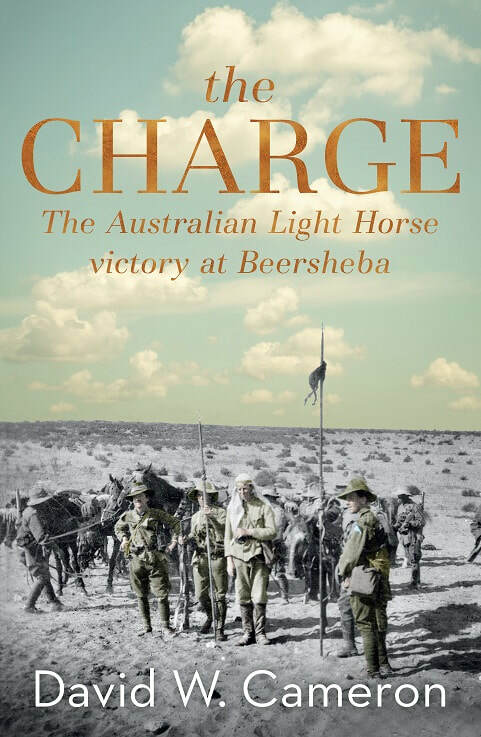 The full story of the Australian victory at Beersheba secured by the Australian Light Horse – one of the last successful cavalry charges in history – to commemorate the 100th anniversary of the battle. The Turkish Gaza-Beersheba line extended for 40 kilometres between the Turkish bastion of Gaza and the heavily fortified town of Beersheba, and stopped any Allied advance into Palestine proper. It needed to be breached, and Beersheba – on the eastern flank of this line – became the scene of the historic charge by the Australian Light Horse on 31 October 1917 — one of the last successful cavalry charges in history. Australian Brigadier William Grant responded by ordering troopers of the 4th and 12th regiments to charge at the Turkish trenches, using their bayonets as ‘swords’, and the momentum of the surprise attack carried them through the Turkish defences. The water supplies were saved and over 1000 Turkish prisoners taken. The fall of Beersheba opened the way for a general outflanking of the Gaza-Beersheba Line, and within months enabled the capture of Jerusalem. Drawing from first-hand accounts, David Cameron pieces together how this important battle unfolded and captures the courage and strategic brilliance of the Australian Light Horse – and the significance of this victory in the broader context of the Great War.